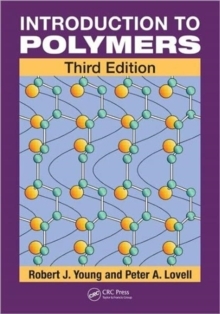 Thoroughly updated, Introduction to Polymers, Third Edition presents the science underpinning the synthesis, characterization and properties of polymers. The material has been completely reorganized and expanded to include important new topics and provide a coherent platform for teaching and learning the fundamental aspects of contemporary polymer science. New to the Third EditionPart IThis first part covers newer developments in polymer synthesis, including `living' radical polymerization, catalytic chain transfer and free-radical ring-opening polymerization, along with strategies for the synthesis of conducting polymers, dendrimers, hyperbranched polymers and block copolymers. Polymerization mechanisms have been made more explicit by showing electron movements. Part IIIn this part, the authors have added new topics on diffusion, solution behaviour of polyelectrolytes and field-flow fractionation methods. They also greatly expand coverage of spectroscopy, including UV visible, Raman, infrared, NMR and mass spectroscopy. In addition, the Flory-Huggins theory for polymer solutions and their phase separation is treated more rigorously. Part IIIA completely new, major topic in this section is multicomponent polymer systems. The book also incorporates new material on macromolecular dynamics and reptation, liquid crystalline polymers and thermal analysis. Many of the diagrams and micrographs have been updated to more clearly highlight features of polymer morphology. Part IVThe last part of the book contains major new sections on polymer composites, such as nanocomposites, and electrical properties of polymers. Other new topics include effects of chain entanglements, swelling of elastomers, polymer fibres, impact behaviour and ductile fracture. Coverage of rubber-toughening of brittle plastics has also been revised and expanded. While this edition adds many new concepts, the philosophy of the book remains unchanged. Largely self-contained, the text fully derives most equations and cross-references topics between chapters where appropriate. Each chapter not only includes a list of further reading to help readers expand their knowledge of the subject but also provides problem sets to test understanding, particularly of numerical aspects.